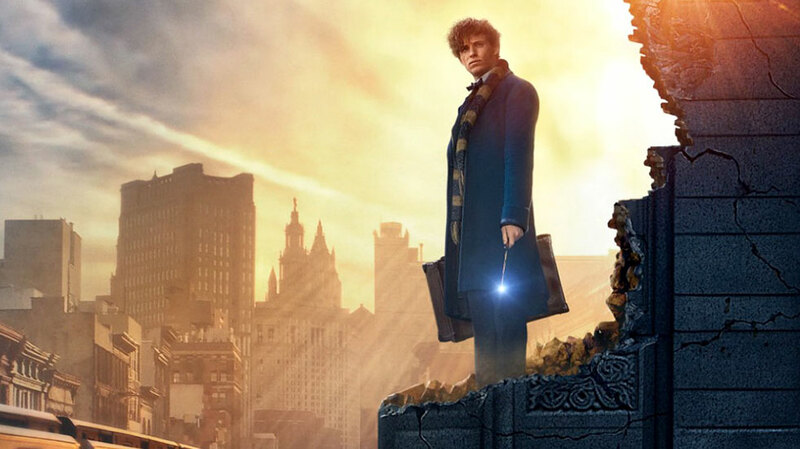 Stepping foot on the shores of Manhattan island in 1926, conservationist and English wizard Newt Scamander (Eddie Redmayne) plunges New York into chaos, when some of his magical creatures escapes the confines of his suitcase (it’s bigger on the inside). While hunting the escaped beasts, Scamander draws the attention of a mundane No-Maj (Dan Foggler) and an ex-Auror (Katherine Waterston). However the creatures he has loosed are only part of the concern. Scamander discovers a city that is on the brink of war, as the religious forces of Second Salem call for another witch hunt, and something magical hunts the streets leaving destruction in its wake. This prequel to the Harry Potter series (set in the same world, and dealing with characters mentioned in the films) certainly displays some awful writing. That grand overall narrative that will link the five film franchise together, is wedged in at the beginning and the end as an after thought. Add a few tantalizing references to familiar Harry Potter names, and the writers seem to have left early to catch the Quidditch . It’s hard to see the shape the series will take from this example (although HP fans can hazard a good guess), and Rowling in her first script really doesn’t seem that concerned about it. In truth, Fantastic Beasts is a harder sell than Potter. That had a relatively simple starting premise of – kid’s a wizard and goes to magic school. Beasts by contrast has to plunge you into a larger realm of magic, far beyond the walls of Hogwart’s, and a different era to boot. It’s an exercise in world building, but in drawing from that legacy of lore set up in Potter, Fantastic Beasts meets with success. If you look back, the Philosopher’s Stone was also somewhat clunky in set up, but the series grew more organically intriguing as it went on. It would seem a similar fate is in store for audiences here, as Rowling set up the base themes of intolerance (in this case Muggles/No-Maj and the magical) and points to larger things brewing for the future. Harry Potter veteran David Yates provides a steady hand at the tiller. Having directed the last Potter films (from Order Of The Phoenix onward) he is in for the long haul with this series covering all five of the films. Here he brings the magical creatures to life with accomplished ease, as well as giving us the trappings of 1920s New York. The film really comes alive when those creatures are explored, and the audience can experience the wonder of something truly fantastical. Redmayne’s Newt Scamander is basically David Attenborough with a wand. Played a little like an autistic Hugh Grant in average conversation, his passion really shines through when discussing the critters under his care. He pairs well with the no nonsense Waterson, as they both seem outsiders more comfortable with themselves than others. However it is Dan Fogler that steals the show, as the unfortunate No-Maj that is placed in well over his head. A flawed, but charming film. There are enough magic tricks here to entertain audiences and raise curiosity as to what the franchise has up its sleeve for future installments.